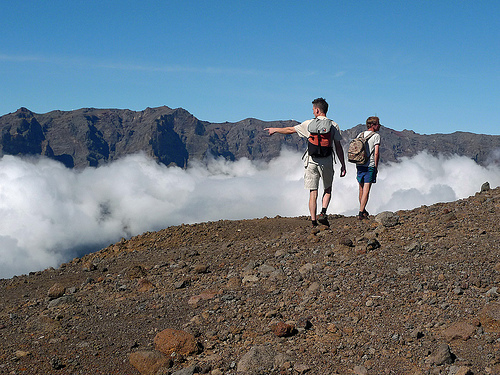 Earlier this month Headwater employees Steve Murray from the product department and Neil Flynn, our guide par excellence in the Canary Islands, teamed up to travel to La Palma to research a new walking holiday there. 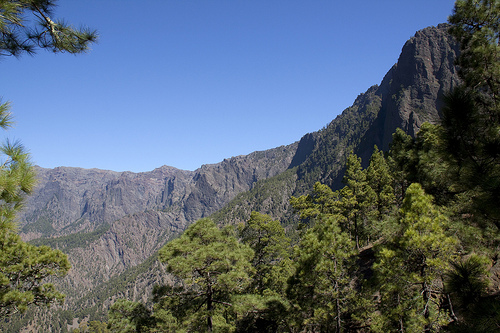 After covering the island from top to toe, Headwater will soon offer the finest guided walking holiday on La Palma available in the UK. Wow! What an incredible island for walkers, and the diversity of landscapes is immense, from sun scorched lava along the Ruta de los Volcanes, to moody elven woodland and lauresilva forest hidden in secret valleys. The Caldera de Taburiente in the north of the island is even deeper than the Grand Canyon! (From peak to base it is over 2,400m, as opposed to the 1,800m for the Grand Canyon), and the views from above the clouds are stupendous. The walking will be of 2 boot level, and each of our routes offers something special, from local restaurants in villages at lunchtime to wine tasting, in addition to the extraordinary views and Neil’s insight into local flora. The trip will be based in the gorgeous four star Parador just above the capital Santa Cruz de La Palma, (similar in style to the Parador on La Gomera), so you’ll enjoy sociable dinners overlooking the ocean with landscaped gardens to explore, and can swim in the freshwater pool after each day out. Neil picked his 5 favourite walks showcasing the island and will begin to guide them in Autumn 2012 – look out for dates arriving on the website at the end of April! For details on our current guided holidays with Neil in La Gomera and Tenerife please click the links. Is Neil still working with you? I was a a friend of his but have lost touch, and so it would be nice to have contact again. I knew him when he was working with you in Mallorca.